It’s coming up on Superbowl Sunday and Packer fans are in mourning. After a valiant effort in one of the most exciting games all year, our Packers lost to Arizona. But, true football fans that we are, we WILL be watching the Superbowl. At least for the commercials. We will be having a Superbowl party with our kids this year. Among the fare will be crockpot Sticky Chicken Wings: a collaborative effort between myself and Phil. As you may know from elsewhere on this site, the hubster, among his many other talents, is the undisputed Fry-Daddy of the Frank household. Thus, the thought of wings cooked in a CROCKPOT (cue Psycho music) was, at first, sheer affrontery. I reasoned that it would be nice to have a relatively hands-off snack option: I could sneak away to finish the wings under the broiler and re-sauce them during the last part of the second quarter (between commercials). We could then serve them at half-time. He came around. Now, I’m going to level with you. 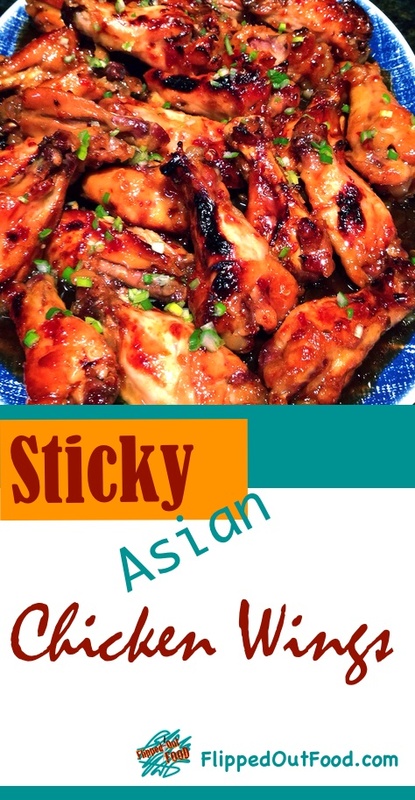 These sticky chicken wings are to health food what atheism is to religion. If you were to eat a diet consisting of nothing but these chicken wings, you would, well, NOT be a healthy person. But—the Superbowl comes but once a year. Everything in moderation, right? I made the sticky chicken wings recipe incrementally less gluttonous by using a slow-cook/broil cooking method rather than deep-frying. Let’s face it: you can’t ever QUITE replicate the crispiness you get with deep-frying this way. But what you DO get is a deliciously caramelized sauce, incredible juiciness, AND a reasonable amount of crispiness. NOTE: you can choose to skip the broiling step. 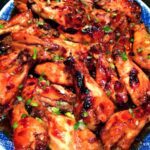 You will still have delicious, juicy wings: they will simply not have the caramelization/crispiness that broiling gets you. What these wings lack in deep-fried crispiness, they make up for in juiciness and outta-this-world flavor. Although you can certainly buy pre-cut drumettes and wingettes, you save a BUNCH of money by buying econo-packs of fresh wings, and cutting them into drumettes and wingettes yourself (save the tips for chicken stock!). We were lucky enough to find a pack of these babies that had reached their sell-by date—SCORE! 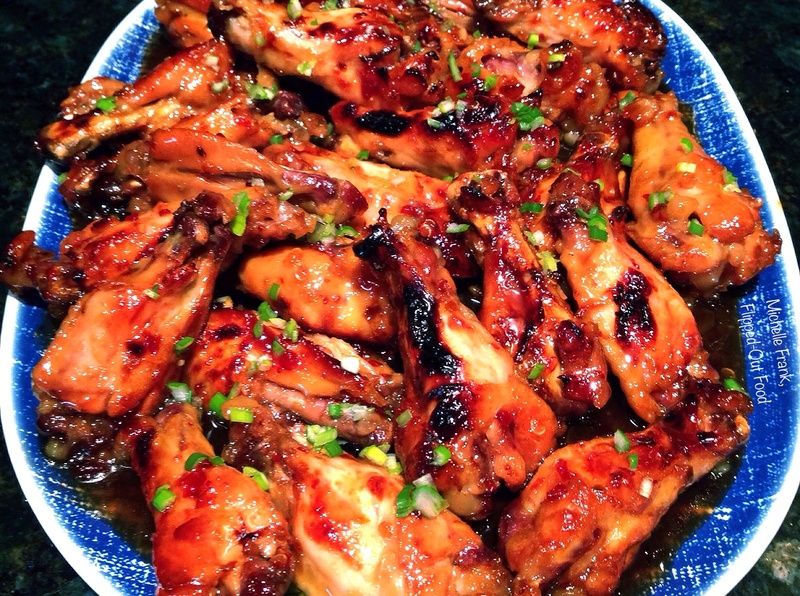 I hope that these Sticky Chicken Wings will score at your next football party or get-together. Enjoy! What these wings lack in deep-fried crispiness, they make up for in juiciness and outta-this-world flavor. Although you can certainly buy pre-cut drumettes and wingettes, you save a BUNCH of money by buying econo-packs of fresh wings, cutting them into drumettes and wingettes yourself, and saving the tips for chicken stock. *Check the consistency of the sauce: if you’d like it thicker add an additional tbsp. of cornstarch (mix with an equal amount of cold water first!). Don’t overdo it though: you’ll start to taste the cornstarch! Mix the ingredients for the marinade in a zip-top bag. Prep the chicken wings as necessary, cutting into drumettes and wingettes; save the tips for another use. Add to the zip-top bag, close, and squish around gently to mix. Marinate in the refrigerator for 1 hour. Meanwhile, make the sauce. Dissolve the corn starch into the vinegar in a small bowl. Combine the mixture with other ingredients in a saucepan over medium-low heat. Heat mixture, stirring frequently, until it reaches a boil. Remove from heat; cool, cover, and chill. Remove the chicken wings from the marinade and add to your slow-cooker with half of the sauce. Cover the remaining sauce and refrigerate. Set slow-cooker to high for 2.5-3 hours. Gently stir the chicken wings in the sauce occasionally as they cook (you’ll notice that the sauce has grown because of the juices from the chicken—that’s okay!). Set your broiler to high. Line a baking sheet with aluminum foil and set a baking rack on top. Shoot it with cooking spray. Gently remove the chicken wings from the slow-cooker and place them onto the rack (the meat will be falling-off-the-bone tender, so be careful!). Set baking sheet under the broiler, leaving the door open to keep an eye on the wings: we want crispy and caramelized, but we don’t want burned. Rotate the baking sheet by 45º a couple of times as the wings broil. When the wings have some nice caramelization going on (5-7 minutes), remove the baking sheet and turn the wings over. Place back under the broiler and repeat (an additional ~5 minutes). When both sides are caramelized, remove the baking sheet. Re-sauce the wings (for this part, I put on gloves and dipped the wings directly in the reserved sauce). Arrange on a platter, garnish with chives, and serve. Enjoy!